Something that constantly surprises us is the variety of websites that need marketing. Indeed, sometimes we have to admit to being attracted to a particular marketing challenge purely because of its subject matter. As the late, great Steve Jobs once said: ““Your work is going to fill a large part of your life … and the only way to do great work is to love what you do.” So if we find the subject really appealing it makes our marketing task all the more enjoyable! Here are a few examples of websites with which we have become involved, as much because of their subject matter as anything else. Some present us with a challenge because they are unusual products or in a highly competitive market, others by contrast don’t even sell any products or services – they are information resources which aim to inform, enlighten and entertain! A British company and world leader in the manufacture of perimeter security technology. 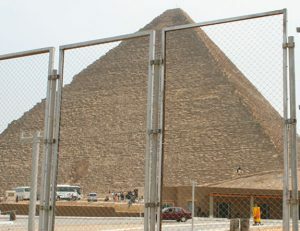 Their systems have been installed to protect many high profile sites from nuclear power plants to historic monuments such as the Great Pyramids of Giza. Their secure and responsive website is promoted to a global market and features in Google Search first page results for many highly competitive keywords. The use of social media platforms, a blog, special News features, cpc campaigns and an additional website for the US market combine to achieve a high Internet visibility. Read more about the company and its Internet marketing. 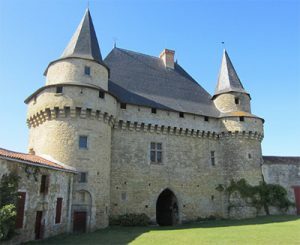 Medieval-castle.com is a historical reference website with high quality special features on medieval castles both in the UK and Europe. Reviewed and recommended here by BBC Click’s Kate Russell in her selection of the best sites on the World Wide Web 2009. Ice-cream-recipes.com is another reference website. 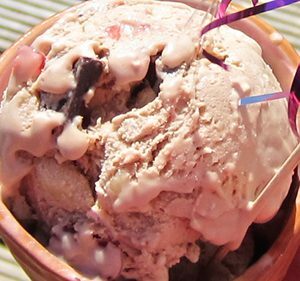 It offers free ice cream recipes and lots of advice on how to make homemade ice cream. With a great FAQ section and many special features it is a must for ice cream enthusiasts. Originally launched in 2001, this popular website has had over 10 million hits in the last 10 years. It also has a popular blog, Google+ page and a large following on Facebook here. Wagner-tuba.com – Leading information website on the Wagner tuba, referenced by Wikipedia as an authority on its subject and visited by many musicians around the world. The website is also secure, responsive and available in German where the instrument is referred to as Wagnertuba. IML Shipping Agent – Long established British shipping agent specializing in shipment of trucks and construction equipment. Responsive and secure website with News section, Twitter feed and special feature on their premium and popular roro shipping service to the Middle East. Frimatec UK-10 – British supplier of cold room panels and commercial refrigeration systems. The Vendée – A beautiful region of SW France, the Vendée has much to offer from beaches to castles and of course great food. Secure and responsive website with its own YouTube channel and blog offering lots of information on accommodation, food, history and tourist attractions in the Vendée. Woodside Static Caravan Park – An idyllic setting to have a holiday home near Penrith on the edge of the magnificent Lake District. Responsive website with special section on holiday homes for sale (as and when available). Medieval-recipes.com – A fascinating, in-depth resource about medieval food in Europe with some great recipes. Responsive website with it own medieval food blog which enjoys a high profile in Google search results. Card-trick.com – How to perform card tricks including easy ones for tose who wish to learn from scratch. Great history section. Castel Engineering – Coldroom shelving systems and spares for the construction sector and UK end-users.